This 18 years old expression is a Single Malt from the island of Jura that has been refined in barrels of first "grand cru classé". Time and tides spare no one, says the phrase. 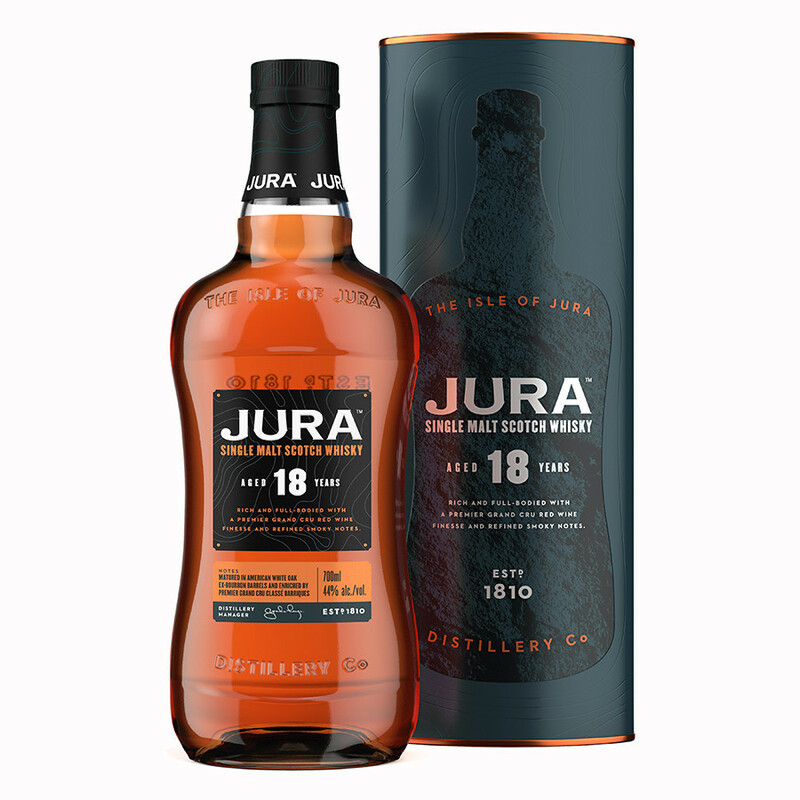 However on the island of Jura, the weather stretches under the influence of successive seasons tempered by an exceptional microclimate giving an exceptional character to this whisky. Made with peated and non-peated spirits, this 18-year-old Single Malt has remained for 18 years in ex-barrels of white oak bourbon, before benefiting from further maturation in wine barrels of first "grand cru classé". Rich and robust, marked by the delicacy of a first "grand cru classé" and delicate smoky notes. Nose: aromas of butterscotch, tropical fruit and cinnamon. Palate: rich fruit flavours, bitter chocolate and coffee. Finale: long, persistent with a note of cereal.